Tattoos used to be associated with gangs, youthful defiance and rebels, however in todays world, they’ve shaken off that negative stigma and are now seen to be one of the best and most fashionable forms of self-expression. 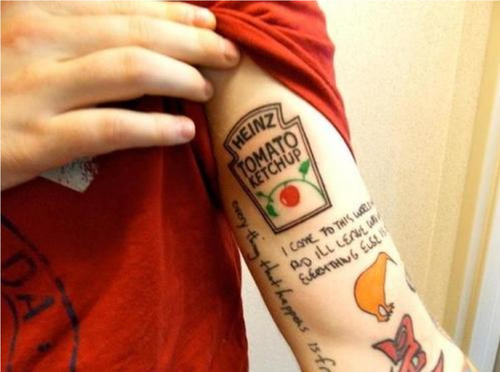 You can get practically anything and any part of your body tattooed, from the tip top of your head, to showcasing your favorite condiment across your body (Ed Sheeran’s Heinz Tomato Ketchup tattoo anyone?). Tattooing is an amazing form of expressive art and there are no shortage of seriously talented tattoo artists to be found. So we’ve rounded up six of the best tattoo artists we’ve discovered on Instagram who we just cannot get enough of! Disclaimer: we cannot be held responsible for any tattoos that you may get after reading this post. BUT if you do please share them with us! Art has been around for as long as we can remember and in today’s day and age it’s interesting to see how century old methods of art are used in today’s modern world. Pointillism was created in 1886 by French artists George Seurat and Paul Signac and this style of art is being used by tattoo artist and illustrator Ilya Brezinski. Brezinski is from Belarus and specializes in creating dotwork and blackwork pieces of art on skin and paper. His work has certain nods to surrealism artist Salvador Dalí, and he is able to turn everyday objects such as animals or vegetables into surreal pieces of tattoo art. His tattoos are bold, visually striking and if you look closely are hugely detailed with the tiny dots. Sasha Unisex is a tattoo artist from St. Petersburg, Russia and her tattoos are breathtaking. Sasha’s tattoo technique is highly unique as her tattoos almost look like they’ve been painted on with watercolors. She adopts a minimalist approach, using geometric shapes and bright colors that help to give the tattoos a three-dimensional look. Her work also has minimal to no outlining at all, which is different to the traditional style of tattooing that we are all used to. Many of Sasha’s designs consist of animals and nature and her beautiful use of color and shading helps to bring the tattoos to life, we love! Brazilian born tattoo artist Frank Carrilho is the man who creates stunning tattoos that combine the straight lines of geometry with wispy, soft strokes of black ink. His designs look like a mix of half-drawn, half-sketched, and look like no other tattoos we have seen before. Carrilho worked as an apprentice from 2008 to 2011 in Rio de Janeiro, and afterwards decided to focus on his professional career working in many different studios to enhance his tattooing skills. He is now based at the ‘Queen of Hearts Tattoos’, in Lisbon, Portugal.